In a recent poll of practicing art critics, 75 percent reported that rendering judgments on artworks was the least significant aspect of their job. This is a troubling statistic for philosopher and critic Noel Carroll, who argues that that the proper task of the critic is not simply to describe, or to uncover hidden meanings or agendas, but instead to determine what is of value in art. Carroll argues for a humanistic conception of criticism which focuses on what the artist has achieved by creating or performing the work. Whilst a good critic should not neglect to contextualize and offer interpretations of a work of art, he argues that too much recent criticism has ignored the fundamental role of the artist's intentions. 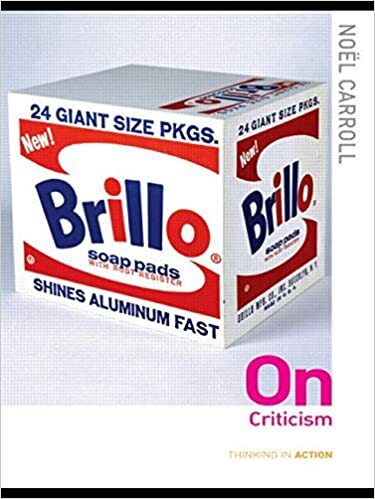 Including examples from visual, performance and literary arts, and the work of contemporary critics, Carroll provides a charming, erudite and persuasive argument that evaluation of art is an indispensable part of the conversation of life.